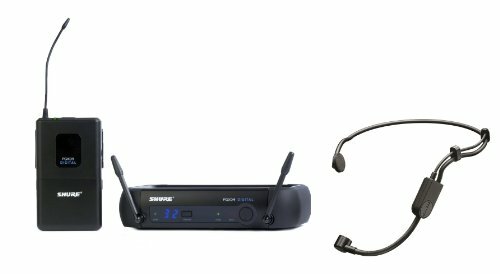 Offering tailored wireless solutions for vocalists, guitarists, and presenters, PGX Digital Wireless combines the trusted legacy of Shure microphones with state-of-the-art, 24-bit digital wireless technology that delivers strong, clean RF performance. The result is wireless audio that sounds like wired, rock-solid RF signal, and simple setup and operation. PGXD4 receiver, PGXD1 bodypack transmitter, PGA31 headset microphone, 2 AA batteries, power supply, clothing clip, windscreens, carrying case, and user guide. 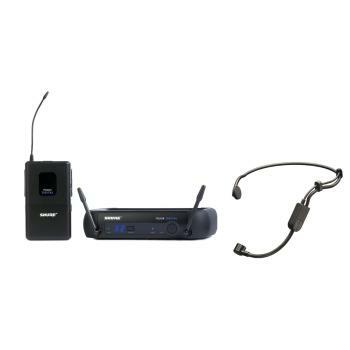 Includes PGXD4 receiver, PGXD1 body pack transmitter, PGA31 headset microphone, 2 AA batteries, power supply, clothing clip, windscreens, carrying case, and user guide.